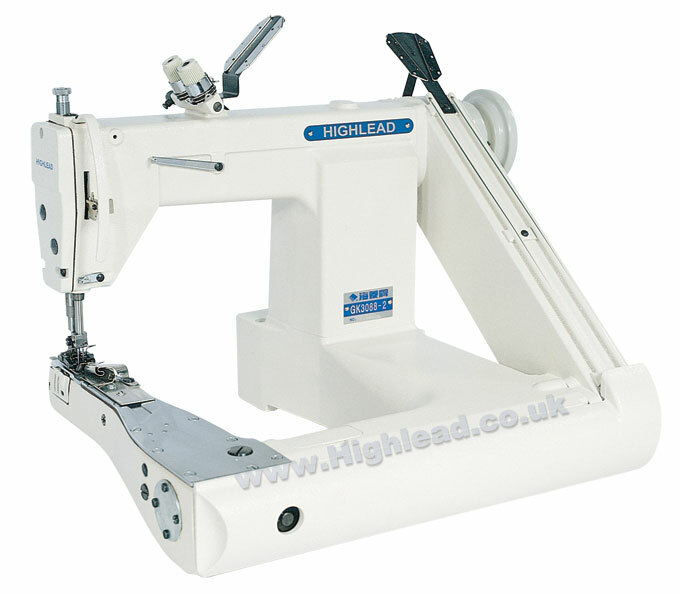 Highlead GK3088-2T twin needle chain-stitch feed off the arm industrial sewing machine. 2 needle double chainstitch formation and narrow cylinder arm shape for greater usability. GK3088-2T model for stitching and lap seaming light & light-medium weight materials: i.e. shirts, sports wear, pants etc. 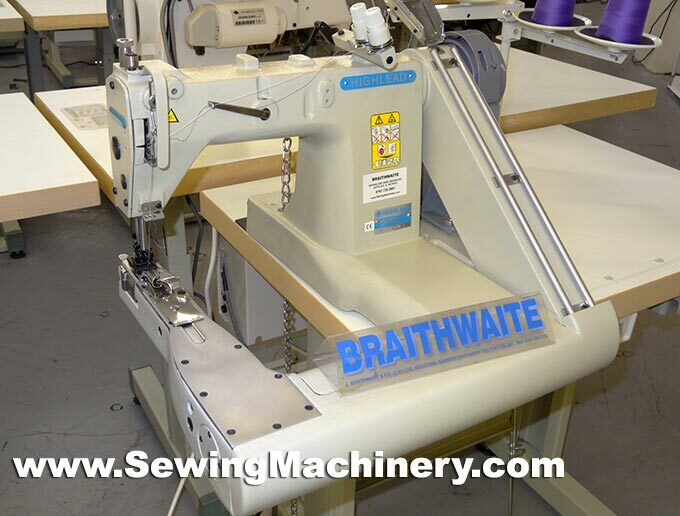 High speed sewing up to 4000 stitches per minute. Supplied with overhand "feed of the arm" unit stand; allowing easy access to the cylinder shaped arm. Feed off the arm design. High-speed up to 4000 stitch per minute. Light to light-medium weight fabrics. Overhand unit stand allows full arm access.